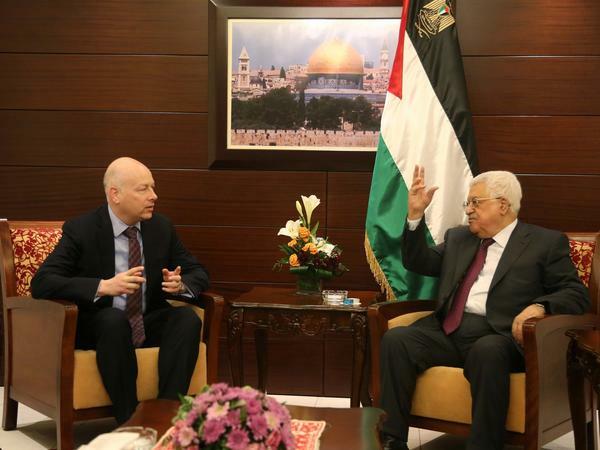 Special representative for international negotiations, Jason Greenblatt (L) and Palestinian President Mahmoud Abbas (R) meet in Ramallah, West Bank on May 25, 2017. The decision, first reported Friday by the New York Times, is expected to affect a host of projects supporting Israeli and Palestinian almond farmers, young entrepreneurs, environmental activists and others. "I continue to believe in the importance of building relationships between Israelis and Palestinians, particularly kids, but. ..." senior U.S. peace negotiator Jason Greenblatt tweeted, "Palestinian and Israeli kids will lose, and these programs will be meaningless, if the (Palestinian Authority) continues to condemn a (peace) plan they haven't seen & refuses to engage on it." Palestinian leaders cut ties with the Trump administration after it recognized Jerusalem as Israel's capital, a city where Palestinians also have claims. In response to the latest funding cut announcement, senior Palestinian official Saeb Erekat said Saturday the U.S. was using "sanctions and blackmail to make our people surrender" and that "clearly this administration has nothing to do with peace and making peace." Sen. Patrick Leahy, a Democrat from Vermont, said cutting the money was "reprehensible." 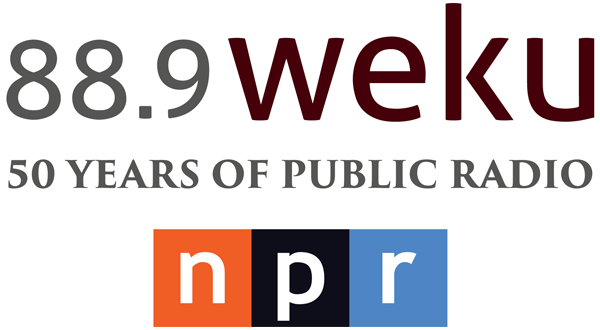 "Congress wrote this program in a bi-partisan manner to bring together Israelis and Palestinians," Leahy told NPR. "What possible good can come from a policy that drives these people further apart? This is no way to build the trust and confidence needed for real peace in the Middle East." In recent weeks, the U.S. has moved to close the Palestinians' diplomatic office in Washington, and has withdrawn $200 million for Palestinian development and humanitarian projects and $300 million to the United Nations's program for Palestinian refugees. As first reported by NPR, the U.S. also cut $25 million for Jerusalem hospitals providing Palestinians with medical care unavailable in the West Bank and Gaza, but is continuing to fund Palestinian security forces to assist Israel in preventing attacks in the West Bank. Advocates had been waiting to hear about one final batch of U.S. money for Palestinians — $10 million for programs that bring together Israelis and Palestinians for what the U.S. describes as "people-to-people reconciliation activities." Tim Rieser, an aide to Sen. Leahy, said Friday that officials from the U.S. Agency for International Development, or USAID, notified Congress last week that the money cannot be spent on peace and reconciliation programs bringing Israelis together with Palestinians from the West Bank and Gaza — only on programs inside Israel for Jews and Palestinian Arab citizens. A USAID spokesman said this was part of a $200 million cut announced in August, though Rieser said it was unclear to Congress if the "people-to-people" programs had been included in that cut. Dave Harden, who oversaw U.S. aid to Palestinians under the Obama administration and now directs the Georgetown Strategy Group, said this funding cut "puts Israelis and Palestinians on a collision course for further conflict."